Do you long for the days when people used to dress up for air travel? That big fella in the next seat wearing sweat pants and clipping his toenails isn’t the only one committing fashion faux pas at the airport. TSA Public Affairs spokesperson Lisa Farbstein recently tweeted out an example of what NOT to wear when traveling by air. 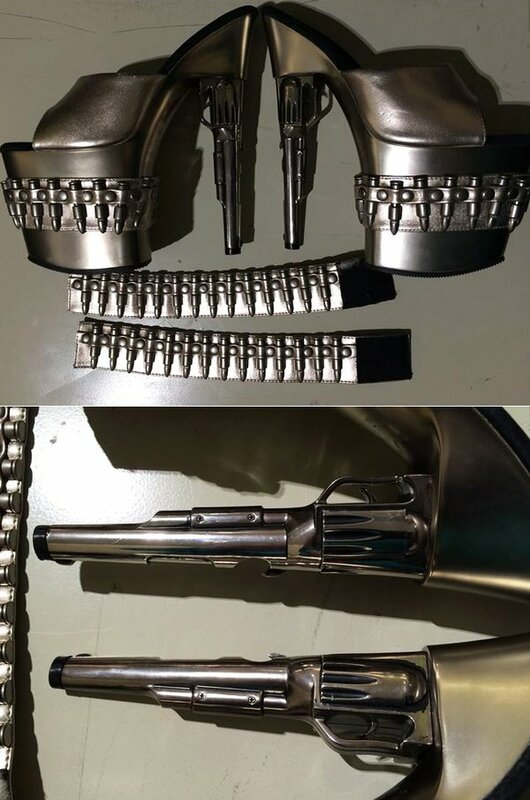 A passenger at Baltimore Washington International Airport (BWI) recently came to TSA security checkpoint with high-heeled shoes with heels designed to look like revolvers and bandoliers of ammunition around the sides. And, of course, since accessorizing is important, the passenger also had a couple of bracelets with similar bandolier-like appearance. According to Farbstein’s tweet, the passenger, unsurprisingly, experienced some delays in passing through the checkpoint. 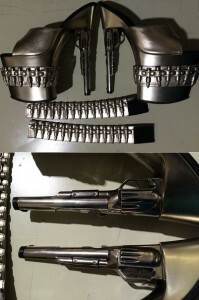 Per federal regulations in regard to flying with firearms, realistic replicas and toys are not permitted in carry-on bags and must be checked. It may be debatable whether or not the shoes and bracelets are realistic, but this is undoubtedly why the passenger got held up at the checkpoint. Is this taking things too far? Does TSA have better things to do? Or is this a reasonable stop? Share your comments below.